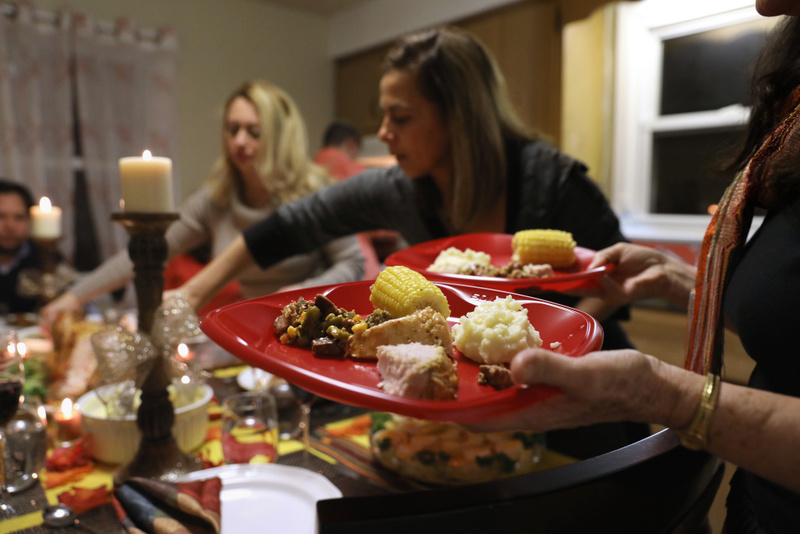 Central American immigrants celebrate Thanksgiving on November 24, 2016 in Stamford, Connecticut. Maybe your family features a Cajun deep-fried turkey at the center of the table. Or you prefer to opt out of mashed potatoes for sticky rice and pumpkin pie for flan. Perhaps a Russian cheese salad that’s versatile with almost everything on the table? Celebrate Thanksgiving with us at AirTalk by sharing your favorite modern-day twists to this American holiday, from the dining room to the living room and more. Call us at 866-893-5722 or comment below!